How To Choose A Mobile App To Market Your Online Business? Tarun Gupta December 28th, 2013 Application Development no comments. It's almost undebatable how mobile apps transformed the mainstreams of communication. If you own a smartphone, you may have one or two or sometimes many mobile apps downloaded onto your mobile. If you are an end user, download an app and you are done. It hardly demands any technical skill set to enjoy the mobile apps you like. But having a basic know-how about the mobile apps development frameworks wouldn't bad either. It will help you to understand the app you use in a better sense. 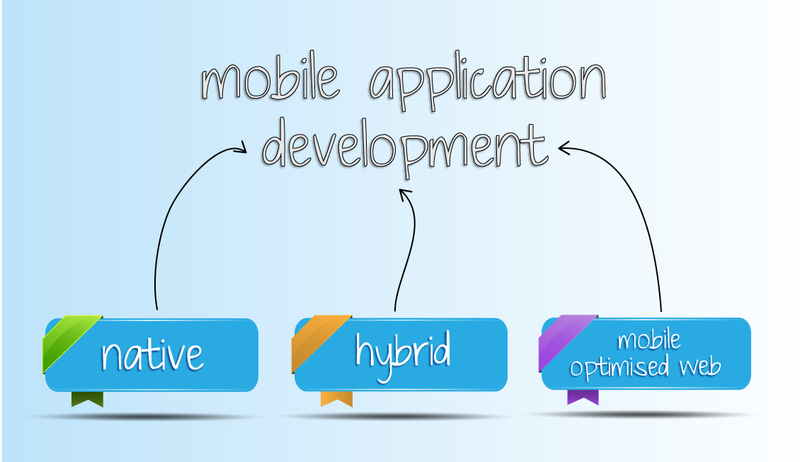 As name implies, native mobile apps are meant to serve a particular device, operating system and platform. Android, BlackBerry and iPhone are some examples. This native approach turns to be the most powerful advantage for them. For an instance, while developing Native Android applications, developers may easily escape the cross-platform compatibility issues since android apps are developed for only Android platform. It's quite easy to optimize the look and feel of each app for every individual platform made for native OS. Although it costs more and requires considerable time on development, yet it offers complete control over the user interface for each. And thus in great demand as well. Cross-platform apps are the applications developed to work for all the operating systems and platforms used. PhoneGap, Titanium, and Rhomobile are primarily used development platforms for cross-platform apps development. The best part of the method is that you are not haunted by compatibility issues while downloading and using the app. The method is also cost-effective and less time consuming since a single piece of code is usually altered to make any change in the apps. These are the websites specially meant to cater to the users an innovative experience throughout browsing. These are not the mobile websites and can't be tailored for specific devices. The development cost and the time spent on these websites are minimal. This is the reason why businesses looking for affordable mobile friendly websites, go for this option. HTML5.0 has become the core factor behind revolution occurred in the the Mobile Application Development sphere. It altered the face of standard mobile application development by introducing a series of 'tags' and 'functions' that were not available in its earlier versions. If you still think Flash has better features than HTML5.0, consider 'canvas' and 'video' features. You will surely change your mind. Gone are the days when you had no option left but to download irritating plugins and upgrades to run websites on the browsers. If you have an HTML5.0 website, you will fly.